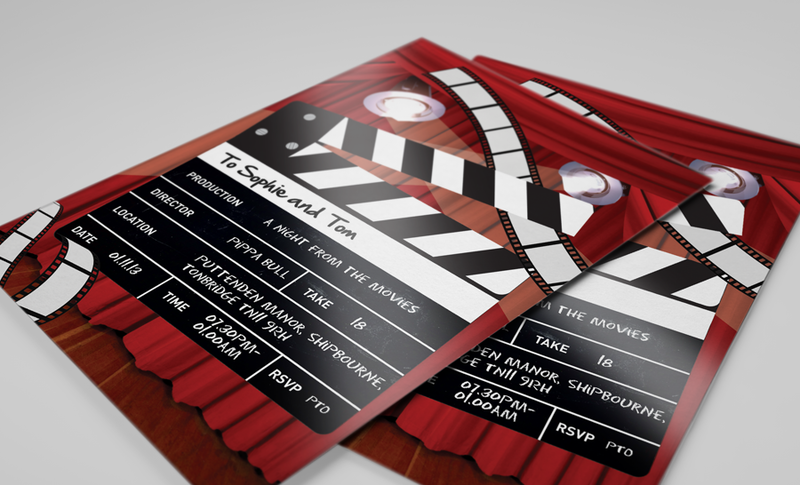 These will have an extra finish to them, making them a bit more special than your average invitation. This might just be the icing on the cake that gets people to your party. No, not Mat Goss (He was in the original boy band Bros in the late 80's early 90's), Matt and Gloss - Two types of lamination. Gloss lamination has a high shine, very nice, but it marks with fingers quite easily. Matt laminate is silky smooth, even rubbery to touch. The laminate is a very thin layer of plastic which fuses to the surface of the paper, and now days it's biodegradable. What is 7 + ten? These are significantly sturdier than our 300gsm invitations. They are a bit more expensive, but definitely worth it. If you need a large quantity of sturdy high quality invitations, this is the option for you!